BARRY’S BAY – For the first time in seven years, the Barry’s Bay and Area Skating Club hosted an Interclub Competition on Saturday. 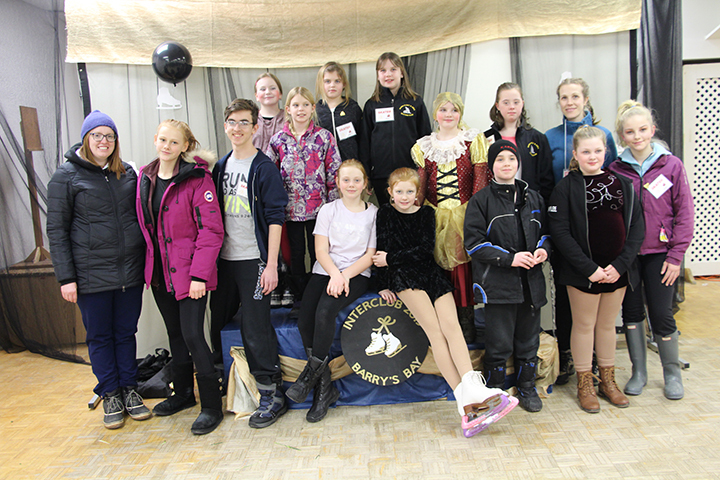 Two hundred skaters came from across the province to compete in 37 categories beginning at 8 a.m and running until 7 p.m.. Chair of the Event, Tressa Crevier, said she was complimented many times during the day by visiting coaches who were amazed at the level of organization throughout the day, with all the events running on time. The competition stopped for everyone to pay their respects. “We had a special moment of silence for Terry Hoffman who passed away suddenly, he drove the Zamboni in the arena… He was a big part of the Barry’s Bay and Area Skating Club,” Crevier said. The army of committee members, officials, judges and other volunteers were happy to see so many people in the arena having fun and the stadium rocking to music. Many spectators came to watch the skaters perform. A number of local people were chosen to present medals and ribbons to the skaters. These included Beth and John Hildebrandt, Councillor Mark Willmer, Elser Lee Faith Archer, Theresa Prince and Rose Ann Hoffman.